Photo Writing - Exploring Photography. 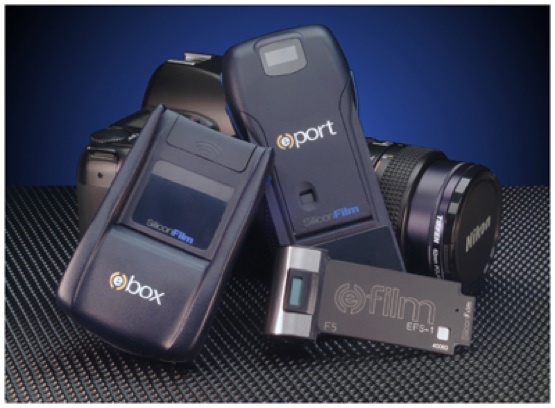 : Is digital film finally here? Back in 2001 I spent many hours on the internet trawling over any details I could possibly raise to the magical (or so it seemed) Silicon Film. This was a device that promised to bring digital imaging to our old analogue cameras. In 2001 I was still a staunch (and financially reliant upon and unable to change) analogue photographer. The efilm by Silicon Film seemed like The Holy Grail to me. In some ways it still does. The basic premise was to replace the film canister with the necessary hardware for digital capture. The sensor would then be attached to this 'canister' via a thin surface that would lie over the focal plane in the same manner as celluloid film. Back in 2001 the hardware wasn't quite there however, and Silicon went bust in September of that year (read Oliver Duoong's recent blog post on the history. Fast forward to 2013 and UK based James Jackson reckons that he has solved the problems and is looking for backers via the crowd sourcing Indiegogo. Whenever the concept of turning old cameras into digital cameras comes up, people are ready to jump on board. I wrote about my dream camera on this blog back in 2011. I still feel that the technology and the know how are out there. In fact Nikon patented a way to adjust a bolt on digital back to a film camera toward the end of last year (see this link). Storage -Will photographers be able to shoot more than the old 36 frames on the device? I think Jackson has solved this with the use of micro SD cards which can now reach capacities of up to 64GB! RAW? - As with shooting neg film, most photographers who will get really excited about this product would require RAW capture, not just jpeg. Possibly DNG, an open source format is an option here. Focal Plane Alignment - One of the problems with digital is the exact tolerances that are required for the alignment of the sensor with the focal plane. Film was far more tolerant than today's digital sensors. Hopefully there will be some kind of micro adjustment built in to the device (one option may actually be to modify the whole back of the camera. Who knows, maybe if the digipod is successful a spinoff product might emerge). Noise - Currently the digipod is activated the moment you wind the film lever (simple and elegant answer to the issue of switching it on). However having an active sensor is going to start the 'hot pixel' problem. So long as the shutter is tripped relatively shortly after cocking the shutter mechanism this shouldn't be a problem. BUT, if you are wanting to wait between shots then you are likely to experience hot pixels in your images. Lastly there is the thought that is running through a lot of people's minds, can one man do this? Well the Wright brothers managed to fly I suppose. I'm hoping that James Jackson can surmount any issues and build this wunder device. I yearn for the day to be able to use my old FE2s and f4. 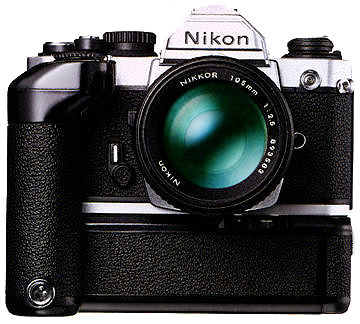 Quite frankly, I think my old F100 currently gathering dust in a glass cabinet is tougher than my D800 and would love to use it as a 'digital' camera). Of course one could always just shoot film. I still have a stack of Velvia and Provia sitting in our fridge next to the eggs - way past sell by date by now. As a working professional though, I just never seem to find the time to go and have my images processed (3 rolls of exposed 120 film can attest to this... I shot them in 2011!). I realise I'm lazy - mea culpa. Still, In want the digipod to work.